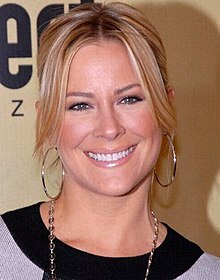 Brittany Ann Daniel (born March 17, 1976) is an American television and film actress. She is the twin sister of former actress and photographer Cynthia Daniel. She is best known for her role as Jessica Wakefield in the 1990s syndicated teen drama Sweet Valley High and her portrayal of Kelly Pitts on the CW/BET comedy-drama series The Game. It's kind of like Silence of the lambs meets Boogey Nights. I've been a vegetarian for so long, I forgot how much I missed meat. You know you don't realize how important meat is to you until you don't have it for long time. More flirtatious than me. I couldn't work it like she did.